Mr. Lizzack has the skills and knowledge required to provide landlords, tenants, developers, and investors with pertinent information and strategic advice in order to assist them in making informed real estate decisions. His background in finance and economics coupled with expertise and knowledge he has gained from working with experienced real estate professionals gives Darren access to one of the largest pools of real estate resources in the world. His integrity and desire to succeed on behalf of his clients gives him a distinct advantage in developing relationships with business leaders. Darren’s greatest asset is his ability to obtain a thorough understanding of his clients’ needs in order to expedite tasks in a timely and effective fashion. Over the past several years, Darren has completed over a million sf of commercial space valued at more than $65.6 million in aggregate sales and rentals. His skills and work ethic have led to the completion of assignments with prominent firms such as Fresenius, Renaissance, Golden Years, Hunter Group, Decision Drivers, Inc., American Red Cross, Paramus Chevrolet, Bergen Ambulatory, Advanced Diagnostic Imaging, Advanced Hormone Solutions, LLC, Pinnacle MRI Group, LLC and Total Physical Therapy. Mr. Lizzack also founded the New Jersey Commercial Real Estate Alliance (www.njcrea.com) which is comprised of five divisions (Executive Board, Healthcare, Multi-family, Retail, Office) and 58 firms all focused on commercial real estate. 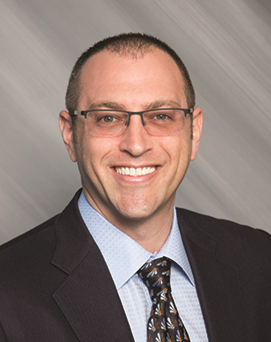 Mr. Lizzack leads the Executive Board and the Healthcare Division under his leadership; together they solve any type of commercial real estate project from inception to completion. Since 2011, Darren has utilized the Healthcare Division of the New Jersey Commercial Real Estate Alliance to assist clients in adapting to the revolutionary changes faced by NJ’s healthcare system.